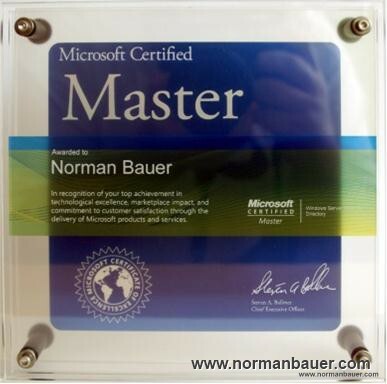 Hey there… After a long long way I am finally a Microsoft Certified Master: Windows Server 2008 R2, Directory! It took me more than one year of preparation, a long travel to Redmond, WA, 2 weeks of the most-in-depth training I ever had and 3 exams each of them harder than every other exam I had to do in my life before. You may want to read the whole story, with every step from preparation, qualification, examination and much more to the final certification. Hava a look at http://www.becomingamaster.com for details on my very own experience to this step in my life.